I am Michael and I have come to you today in order to talk protection. How many of you feel you are protected? How many of you have surrounded yourself with the violet flame and know you are under God’s protection? How many of you have asked to be surrounded by God’s violet flame? You who have asked for it do you feel deep down in your heart that you are under the protection of God and that his angels are watching over you? This can be important for each one of you who right now feel most vulnerable. To ask for protection during a vulnerable period of time can be a way to assume and get through one’s own difficulties – difficulties developed during this life or during previous lives. During a time of cleansing feelings might emerge from nowhere and the vulnerability is the greatest and a helping hand is the most important regardless if it comes from the etheric or physical world. You are doing a big job on the physical level on your Earth. It is a great job with cleaning out all old patterns that no longer serve you. Many of these patterns are filled with negative aspects that have gotten stuck there since several lives back – patterns that you repeat yet today. 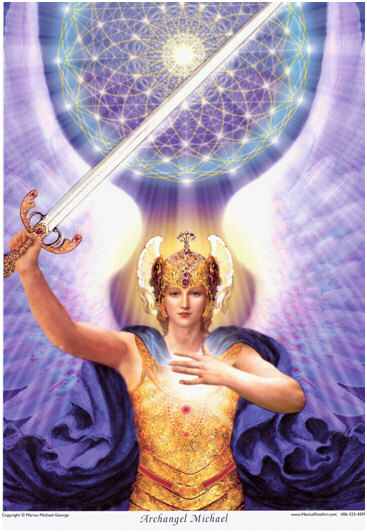 The difference today is that you get much help from the light, in other words from the Source, and all guardian angels that surround you, to dissolve all these patterns that no longer fit you. 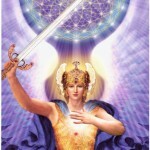 You also get help with building up new patterns from a higher consciousness of love. It is these new patterns of love that then will radiate out in the world. These are the new building blocks on which you build your new world. It is not more difficult than this, even though it can be hard enough. You are the building blocks that change the world – you build the new world of light and love. The sum of it all is and remain that your cleaning and cleaning and your willingness to bring in the light in your hearts and then spread this love out in the world is the most important work that you have right now. It is your light that changes the world you live in. It is your world that right now is in the process of changing the world. Continue to cleanse and build up your hearts of light, dear people on Earth and you will in this way give birth to a new world of higher morals and ethics, which have not seen the light of the day for thousands and thousands of years. You are in the new cradle of light and you have thousands and yet thousands of beings around you that are ready and willing to help given just the smallest of signs from you. They help you to find the light and to reflect over your old baggage so that it now and forever is dissolved in favor of new and more beautiful aspects of yourselves. You build up a spectrum of light around you that makes all beings hold their breathe in surprise and delight. You have a beautiful aura around you that can shine yet more beautifully when you in take care of yourselves in the best way possible. Give yourselves as much love as you can so that you with courage and bravery will break down the old and bring in the new that only consists of light and love. I believe in you and fight at your side along with you.